In getting the right fencing material for your property, you need to pay attention and use the various pieces of information out there. There are a variety of fencing materials on offer in the market today and it is quite easy to get lost in reverie with them. It helps to narrow down the materials first. They are few before you can get deep into the models, types and designs. This article highlights what you need to know in order to make an informed decision about vinyl fencing and ascertain whether or not is a good fit for you. What Are The Types Of Vinyl Fences In The Market? Vinyl fences are among the most popular fence alternative in the market today. They come with immense benefits because they address a majority of the demands that people foist on them. Vinyl is a pliable material making it ideal for coming up with various designs that are pleasing to the eye. They can also be very functional as well. This section highlights and explains the different types of vinyl fences in the market. a)	Privacy fences- These fences are characteristically thick and very opaque. They are ideal for users who prefer to keep to themselves and come in different heights. You will find them in swimming pools and areas that have high demands for secrecy. b)	Picket fences- If wood fences are a risky investment in your area, then picket vinyl fencing should serve as good alternative. Some designs are usually just as close to the real thing as possible. c)	Shadow box- This type of fence is very attractive and comes in a lot of designs. To get the most out of this type of fence, you need to check out what the different vinyl fencing manufactures offer in the way of designs. There are different ways to determine the cost of vinyl fences. The first way is to visit your local hardware stores. In this method, you should expect to find fences in more or less the same price range. If there will be any difference it will be marginal. However, there could be limitations in terms of the variety and designs on offer. To address these limitations, you can then explore going online to different hardware stores. Some even offer custom designs where you can choose the color and design and it will dispatched to you at a stipulated time. However, you should expect to be charged extra for shipping if you live in a place that is far from the manufacturer. Plus, you might have to be careful with company you choose to deal with by doing through research on them and basing your final decision on the findings you get. The Cost Of Installing Vinyl Fences Will Be Explored Further In Subsequent Sections. a)	They are durable- When compared to organic fences, vinyl fences are hardier and more resilient. When they are exposed to harsh elements, they tend to retain their shape and color. Even when exposed to insect infestation, these fences hold up quite nicely. b)	They come in various designs that suit different tastes and preferences- For those people looking to make a statement with their fences, then this type of fencing material should work quite nicely. It helps that there are different designs to choose from online and offline. c)	They come with warranties- If for any reason the fence doesn't hold up before the duration it is supposed to lapses, you are entitled to cash in on the warranty to have it replaced. Some fencing materials don't have a warranty and you are stuck with them when they don't hold up well. What Are The Impact Of Local Laws And Rules? In every fence installation project it is imperative that you check out what rules and regulations you need to stick to. You are probably wondering why it is the government's business what type of fence you install in your property and fence related thing. It is perfectly fine to wonder why this is the case. One of the key reasons why this is the case is to ensure that you keep the environment safe. When you need to install a vinyl fence, you need to ensure that the fence is up to code. Otherwise, you stand a very high risk of getting fined or getting bogged down in unnecessary litigation. There are multiple sources of information in this regard. You can check out your local authority website. If they don't have one, go to their offices and ask for information in that regard. Alternatively, your local hardware store should inform you if the fences they are selling are up to code. If you intend to hire a contractor, you can ask them for information about which fences would be the right fit for you. It is important to take into consideration how the fence will affect the environment. Vinyl fencing tends to leave a very telling impact on the environment. With new fence types coming up by the day, manufacturers have become alive to the fact that they need to do better to create fences that are environmentally friendly while at the same time making them stronger. When you are shopping for vinyl fencing, ensure you go for the ones that are made from non-toxic materials. How To Enhance The Aesthetic Appeal Of Vinyl Fencing? Plastics can be molded into any design you can contemplated. It is one of the immense benefits that come with using vinyl fences. They come in lots of designs ranging from the basic to the more intricate and exquisite ones. This leaves you with many options to choose from and it is up to you to let the creative force within you to run wild. Aside from the variety in design, there are also lots of colors to choose from. When you are looking for this type of fencing in your local hardware store or online, the list of colors is immense. If you want to accentuate the look of your yard, incorporating a bold color choice in your selection should do wonders to your fence. If you live in a community with HOA rules that govern what types of fences and colors your fence must conform to, you must do thorough research on them. a)	Stone finish- When you want to make an addition to your property, it is important to take into consideration the landscape itself. You will want to make sure that the selection you make meshes well with landscape enhancing its overall appeal. Stone-finish colors help do that by providing that earthy feel that blends with a rock landscape. b)	Wood-tan finish- While wood is a good fencing material, it has a few shortcomings. Vinyl fences that have a wood tan finish can be a very good substitute. It gives off that wood-type look that you crave for but without the disadvantages of wood. 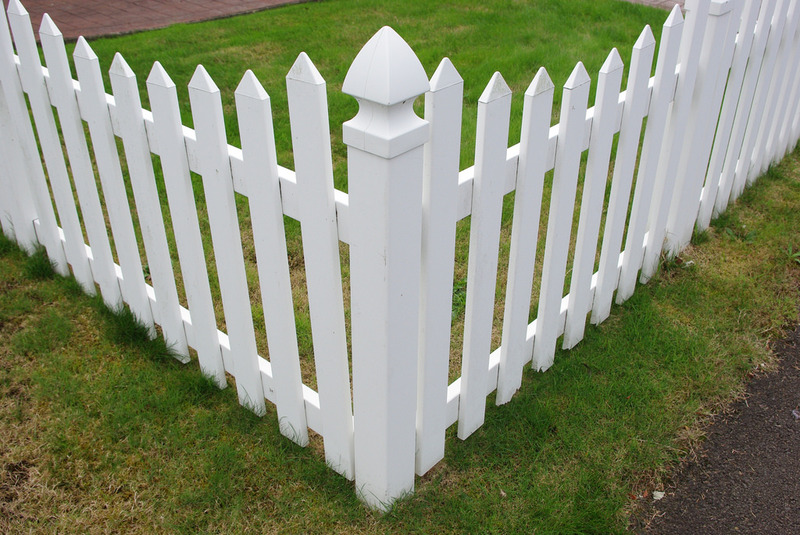 c)	White vinyl fencing- if you crave that picket fence look, then this color type will do it for you. Before you put up a fence, it is important to answer the following question: should I hire a contractor to do it for me or just do it myself? Quite, a simple question to answer, isn't it? Well, it is not as straightforward as you might assume, especially if you are installing this type of fence for the first time. If you decide to install the fence yourself, then this type of fence is relatively easy. It depends on whether or not you have the right tools and skill set. You might look at the panels, put them together in your mind and assume it will hold up nicely. If you, however, encounter problems along the way, you might not know how to proceed to fix them adequately. Mishandling the panels in any way will result in terrible losses that might not be easily overcome. Damaged panels will have to be replaced and you might have to break the bank to do it. Hiring a contractor, on the other hand, will save you from the folly of such an activity. You will have time to focus on other things while the experts who have the right tools and know-how install the fence for you. Plus, they will save you time because they have done installations before and know how to deal with obstacles should they arise. They will also handle the panels with expert care and attention that will not only save you money but keep your fence intact as you had envisioned. In addition, there are some contractors that provide vinyl fencing together with installation services. This is a win if you want to save time looking for materials and measuring the size of the property. Once you have consulted them and they have done a perimeter check, they can give you a quote for the job at hand. This way, you can save time and money shopping for vinyl fence. However, don't just accept the vinyl fence they show you. It is important to ascertain its quality by doing thorough research about its quality and examining testimonials about the same. 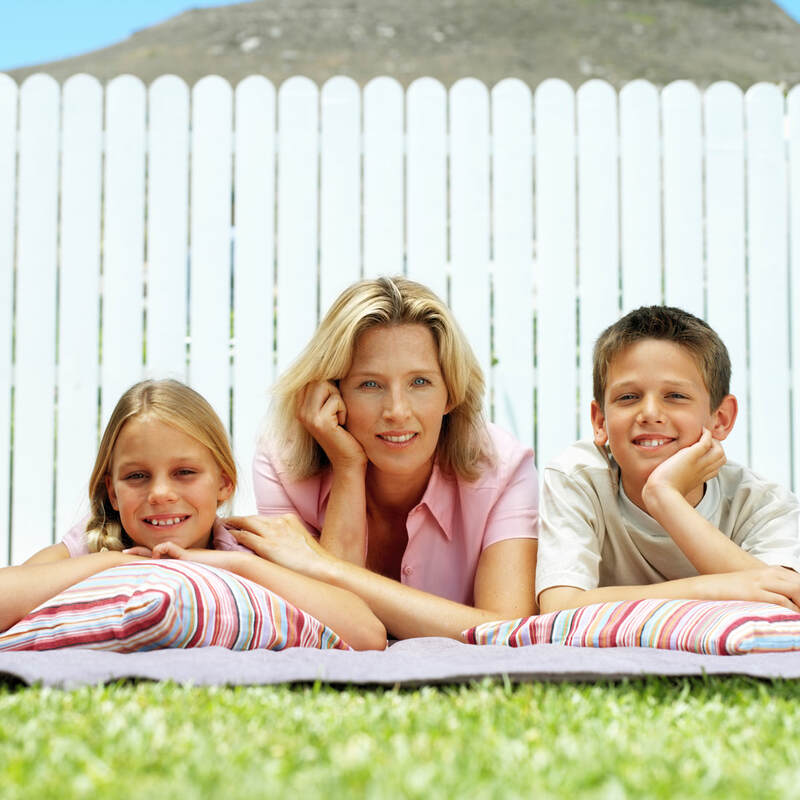 Testimonials should show you what you should expect when you install a fence on your property. If the fence passes the quality test and approvals from previous uses, then have it installed on your property. Should you decide to hire a good contractor, it is your responsibility to do thorough research into the contractors you want to hire. This way you can be left with the best to choose from and get your money's worth in the process. As a homeowner, security is one of the main concerns that run through your mind constantly. Keeping your property and safe from intruders requires a robust fence and other security measures. To this end, you might feel the need to incorporate other security features on your vinyl fencing. However, you might be concerned about how to go about improving this particular fence. Don't worry, the following sections sheds more light into what you can do to enhance fence security in your premises. a)	Choosing a high fence- One of the key deterrents to intruders is the prospects of having to scale a high fence especially you can't tell what is on the other side. More often than not, most people prefer knowing what to expect rather just hope that it will work out in the end. A tall standing fence will ensure that intruders will be deterred by a fence with an intimidating height. b)	Have a deep foundation and possibly fill it with concrete- This is important especially if you have a dog or a persistent case of moles intruding in your property. In the case of latter, using a concrete slab will do enough to deter the dog from pursuing the dog from digging to the other side of the fence. As for moles, a deeply dug trench to install the fence will do enough to keep them out. c)	Using barbed wire on top- The very sight of barbed wire on top of the fence should be enough to deter intruders. If they still intend to pursue getting into the property, they will invariably suffer the consequences. d)	Use privacy vinyl fencing- If you are really big on keeping to yourself and staving off peeping strangers, then high panel privacy fences should do the job quite nicely. When you are looking to get value for your investment in terms of security, you must ensure that you have all your bases covered. It helps knowing what your security concerns beforehand so that you can invest in vinyl fencing that will meet them more than adequately. 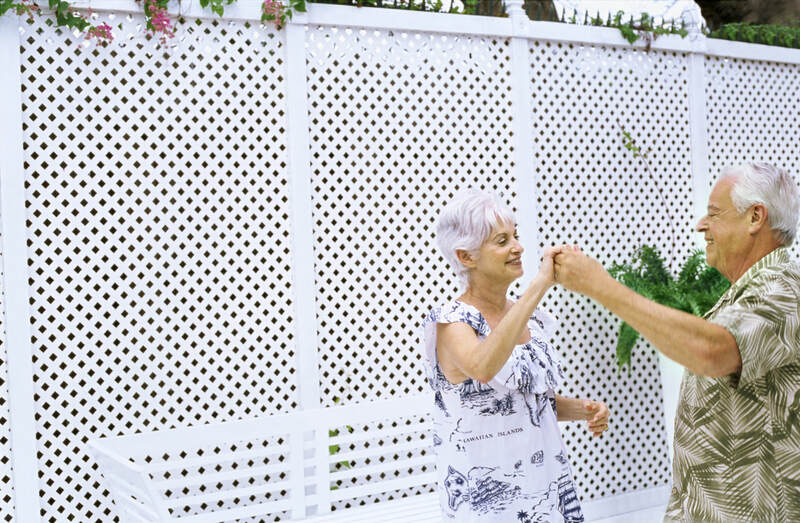 Planning ahead is crucial in getting a fence that will do all that you need to do. If you wake up one day and decide to choose a fence on the fly, you will be setting up yourself for a lot of disappointment. Chances are that you might wind up overspending on a fence that will mess you up. Thus, in order to avoid such a fate, you need to do a couple of things to guarantee that you get a good fence that offers value for time. 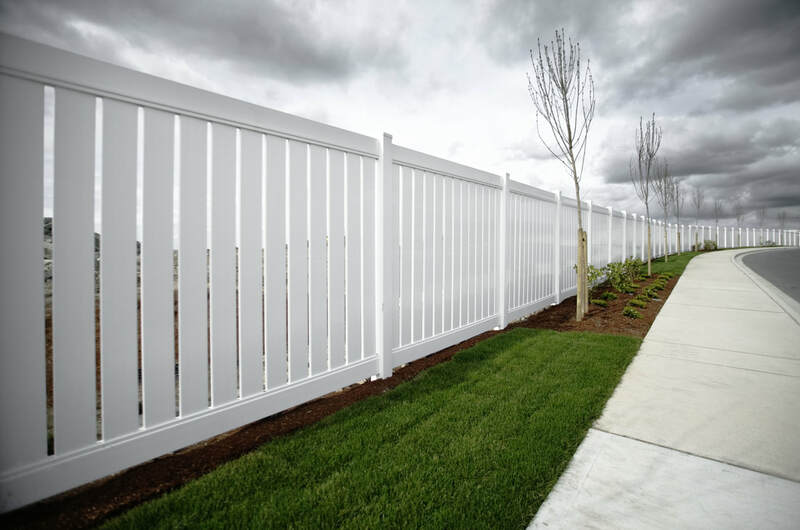 Below are the critical considerations you must have at the back of your mind when you want to install a vinyl fence on your property. When you want to install a fence, you need to look beyond the basic functions it fulfills, that is security and boundary demarcation. This is essential because it will inform the final decision you will make regarding the fence itself. Today, a fence serves several functions in addition to the ones served above. Among these functions is enhancing curb appeal. If you at some point you will want to sell a house, then installing a good and high quality fence that is attractive will draw people to your house like moths to a flame. In their minds, if the outsides looks this good, then the inside is worth looking into and possibly investing in. 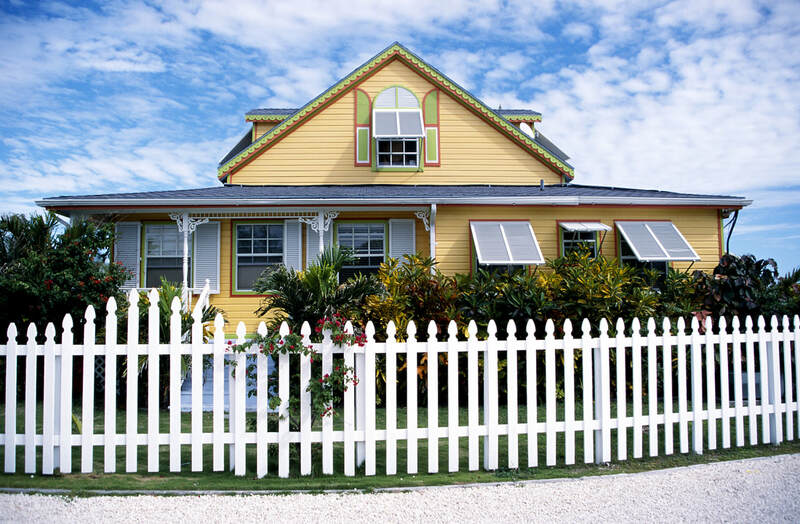 A good fence will help drive your property value up a few points. Another function that you need to think about is that good fences provide privacy. If you are keen on keeping to yourself, then you must adjust the type of design to fit this essential requirement. You might be wondering whether or not it is possible to have privacy and have the fence look as aesthetic as possible. Well it is. This has will be explored further later on. Having a good idea of what you want in a fence should ensure that you have razor-sharp focus when selecting good vinyl fencing. This has been addressed sufficiently in the above section and needs to be reiterated because it will inform how you proceed later on. It is not enough to just think about what you want in terms of fencing alone, you need to think about the area and the fencing material itself to create a good budget. Most people overlook this step. They just assume that any figure will be adequate. Should the figure fall short, they can inject more funds which translates to breaking the bank. Should the materials be in surplus, then you will be left with things you won't use resulting in loss. Whichever way you look at it, not having a clear budget for materials and personnel hurts you a lot. When setting a budget, knowing the perimeter of the property you will work with should give you a clear number against which you can determine the number of panels to use. Thereafter, you can factor in the cost of labor should you decide to go with a contractor. Additionally, using a contractor will help you know the size of your property, how to proceed and possibly if the contractor can provide vinyl fencing material. The latter has been explored above. D - Research On The Designs And Types Of Vinyl Fences And Choose A Fence. Even as you purchase your fence, you might have a few lingering questions at the back of your mind. The following section will illuminate the frequently asked questions that come with installing vinyl fencing. A - How Can Extend The Life Of My Vinyl Fences? There are a few ways you can go about this. For instance, ensuring that the fence is cleaned with soap and water when it is dirty. Inspecting the fence regularly should also bring to light any damages in the fence and prompt you to replace the parts that are broken. Finally, using a treated UV fence should give you a few more years in your fence. B - Is My Fence Safe For The Environment? This is a legitimate concern that cannot be overlooked given the vast amount of information out there on the safe. As was highlighted above, manufacturers of vinyl fencing are required to use non-toxic materials when making their fences. Some might not and it is up to you to do research on which fences would be ideal for installation and still safe for the environment. In as much as vinyl fences are touted and renowned for being very durable, they will eventually have to be replaced. After testing climate and time takes a toll on the fence, you will have to reach deeper into your pocket to have them replaced. There are a few signs that tell you when it is time to replace the fence. This signals that the fence is fragile and can be broken into, hence posing a security. It is important to ensure that you inspect all the panels sufficiently and regularly. Replacing the fence wholesale should be on the cards just to be safe. Once the UV protection has worn off in the fence, it will start to lose its color. Normally, this wouldn't be more than eyesore but it signals a larger problem. Prolonged exposure to sun and cold means that the fence contracts and expands making it vulnerable to cracking. Painting does address the eyesore issue but it doesn't address the UV protection issue. Should you notice this happening to your vinyl fencing, you might seriously want to contemplate replacing the thing as early as possible just to be on the safe side. By sticking to the aforementioned titbits and choosing vinyl fencing, you stand to gain a lot in the long term.